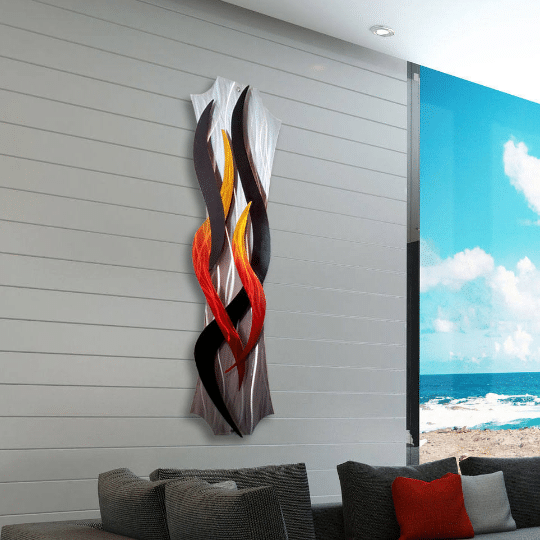 A contemporary fire wall sculpture and exclusive metal art design by Dustin Miller. 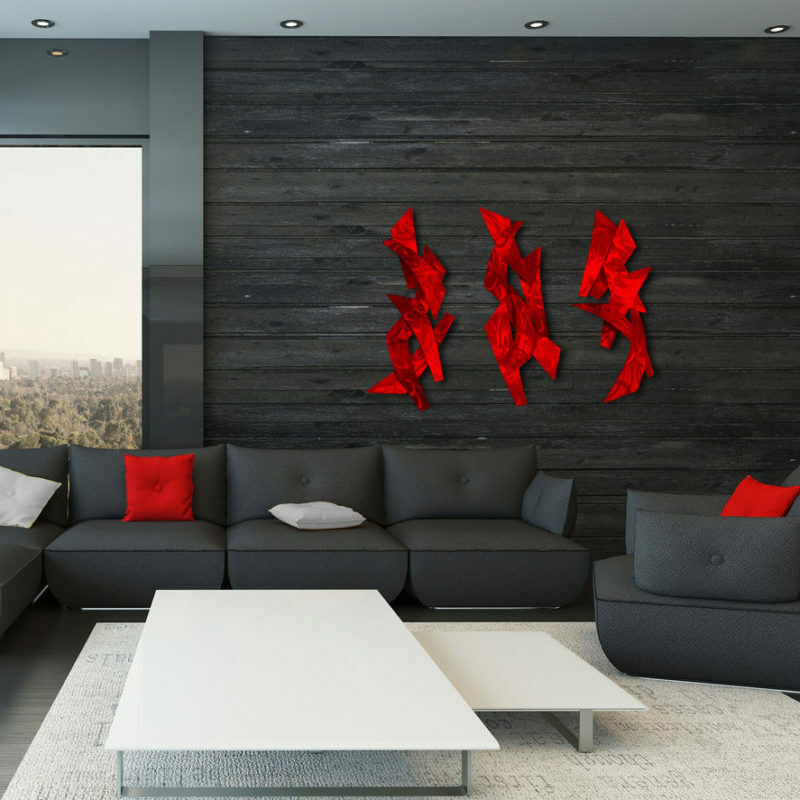 The modern color palette was selected by the artist to fit your decor and space. 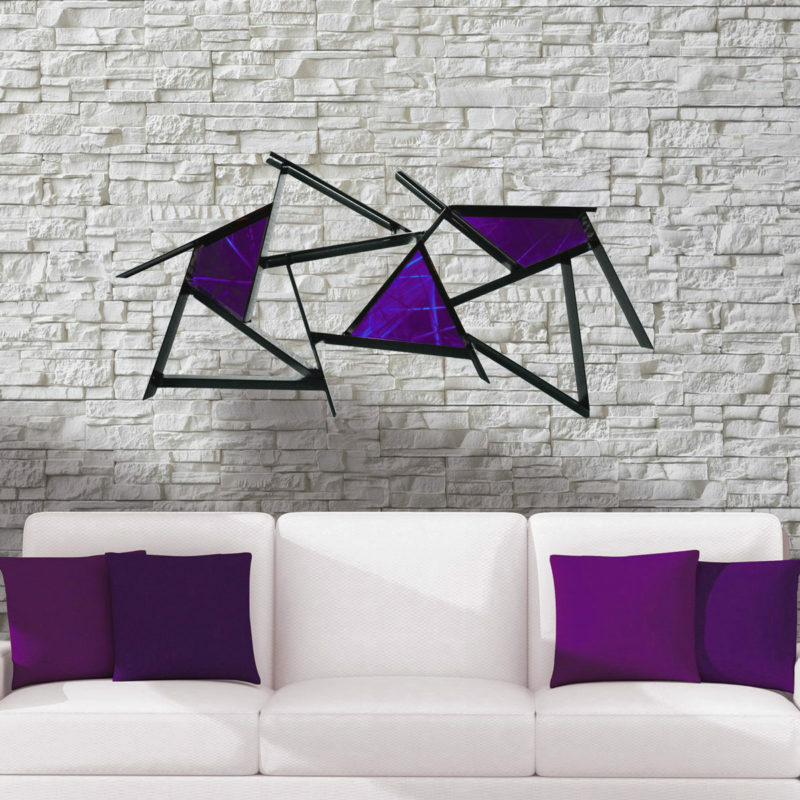 The grind patterns and flowing motion shines through different lighting with each laser cut aluminum shape. 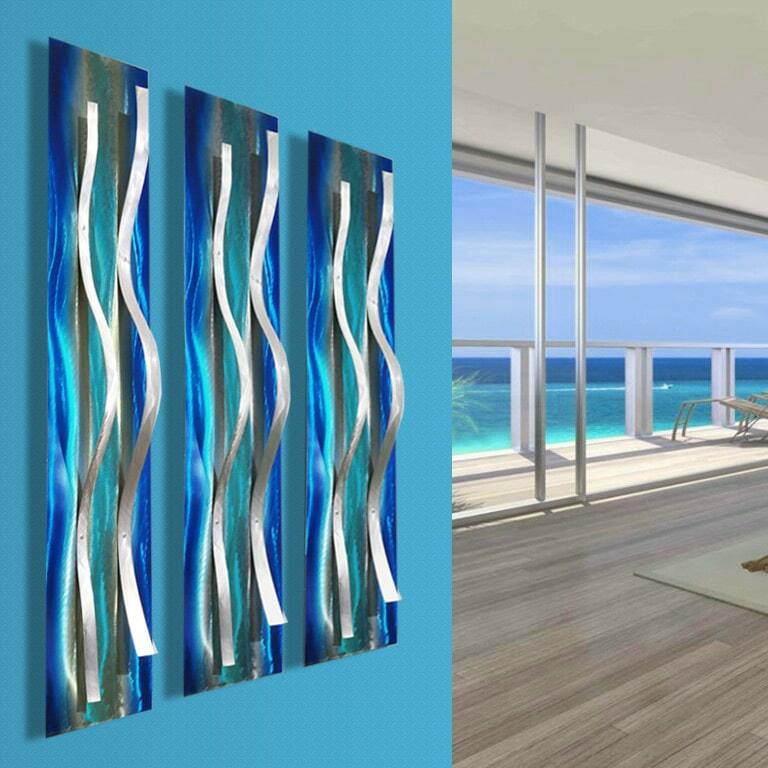 The pieces are layered for a dimensional appearance. 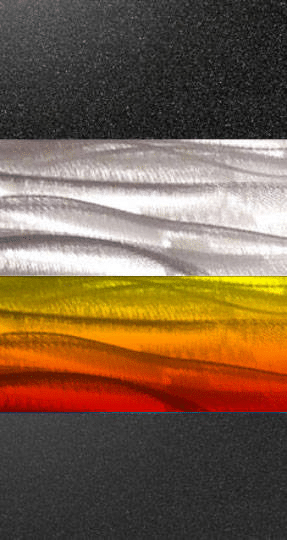 The accent colors are textured with a signature grind pattern. 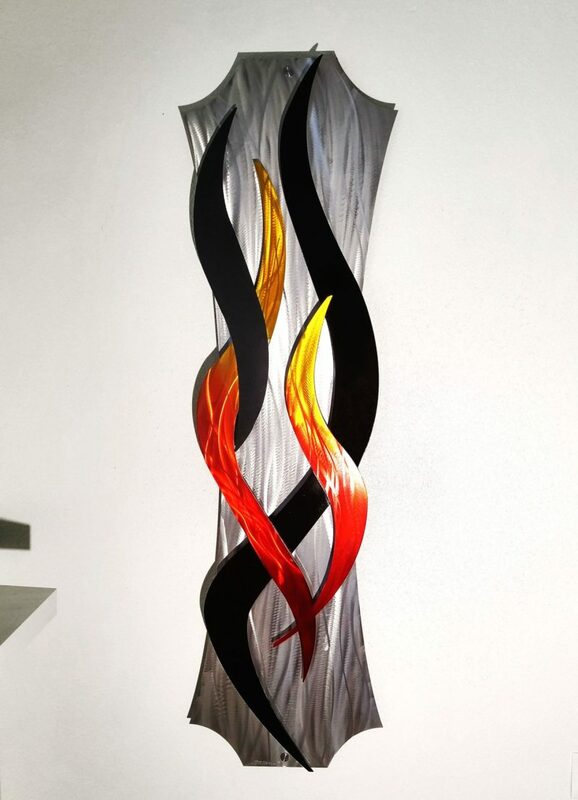 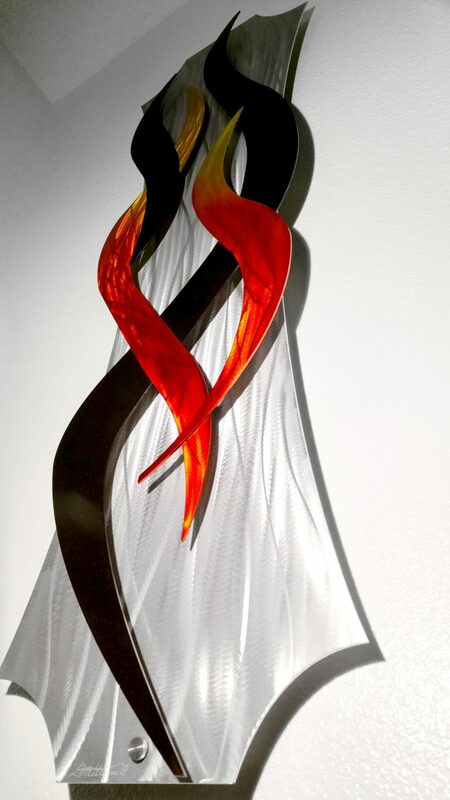 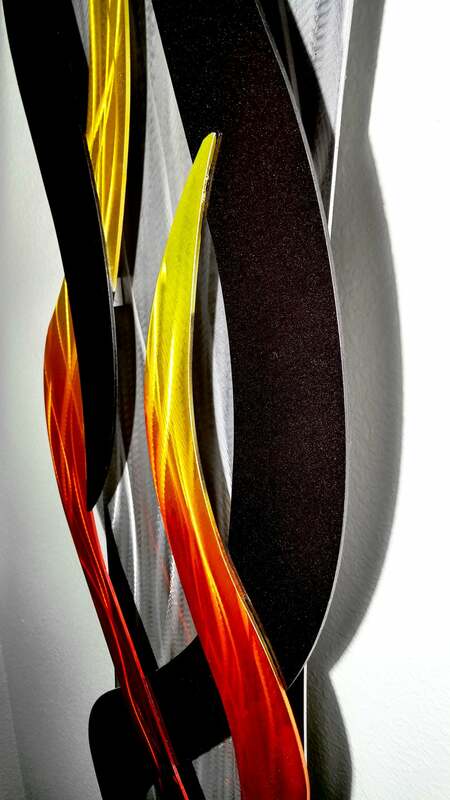 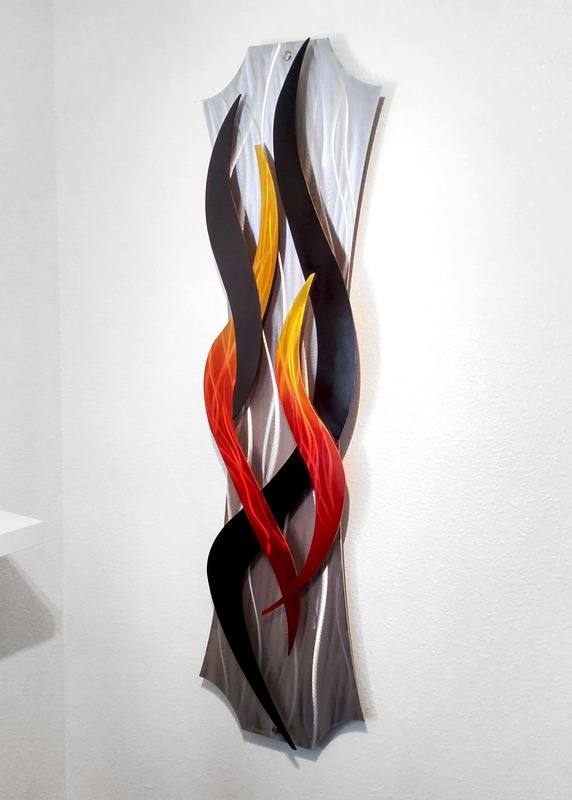 This hot fire wall sculpture contains a dimensional design that appears different from every angle. 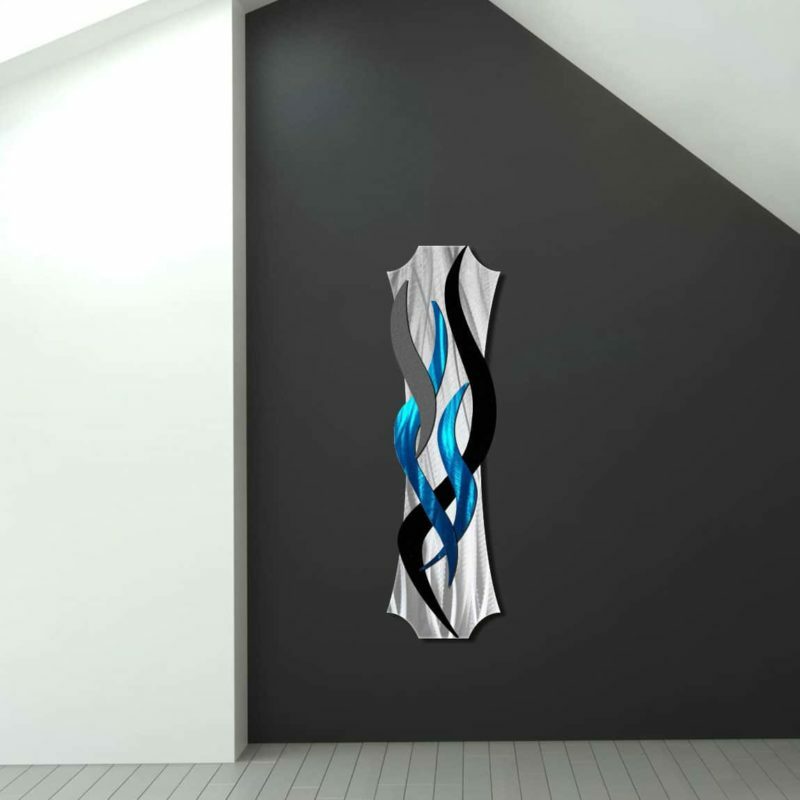 It is mounted with supplied standoff pegs that can be displayed vertical or horizontal.